Everyone in North Queensland will have a need for disposable food service and packaging products along with basic cleaning products. You'll need them to be readily available, locally and at a competitive price. 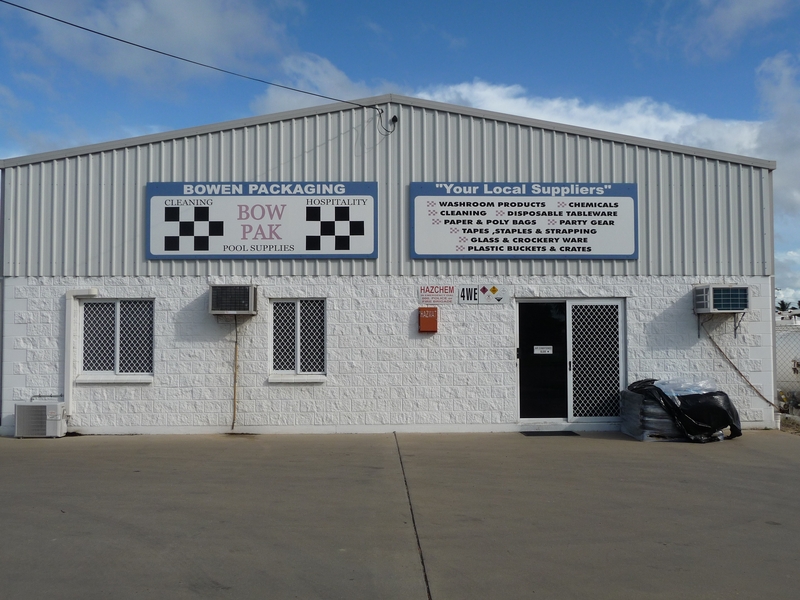 Bowen Packaging carries an extensive range of Cleaning, Hospitality and Pool Supplies. With high quality products and service that cannot be beaten our dedicated staff can help you find exactly what you're looking for. If we don't have it simply ask and we will do our best to source what you need! Bowen Packaging can meet the supply needs of all customers large and small. Bowen Packaging is a locally owned and operated business. Supplying a truly localized service of the highest quality for all your required disposable paper and plastic products to the food, catering, hospitality and retail industries and they can even assist with any or all of your clean-up requirements offering chemicals, utensils and cleaning accessories. Buying locally, getting your goods on time at a price that is also truly local means that you can get on with what you do best, knowing that Bowen Packaging is always there and won't let you down. Call us now!